Karachi Calling for The House of Kamiar Rokni! [Lahore: 10th October 2018] The House of Kamiar Rokni bring their critically acclaimed heirloom bridal collection ‘Moonrise’ to Ensemble Karachi. Hot off the PFDC L'Oréal Paris Bridal Week ramp, Moonrise will be on exhibit in Karachi for order on the 11th, 12th and 13th of October. Moonlight has been crafted for the multi-faceted woman, marrying tradition and modernity in equal measure with cuts for the more flamboyant, the more adventurous to the more demure and traditional. Launched in late 2007, The House of Kamiar Rokni is among Pakistan’s premier fashion design houses. The brand strives to provide an immaculate essence of style in all their creations, designing signature one of a kind pieces that evoke a sense of individuality and elegance in the people that wear them. Kamiar Rokni is one of South Asia’s most celebrated and awarded fashion designers, his work symbolic of an old world charm and traditional heritage. 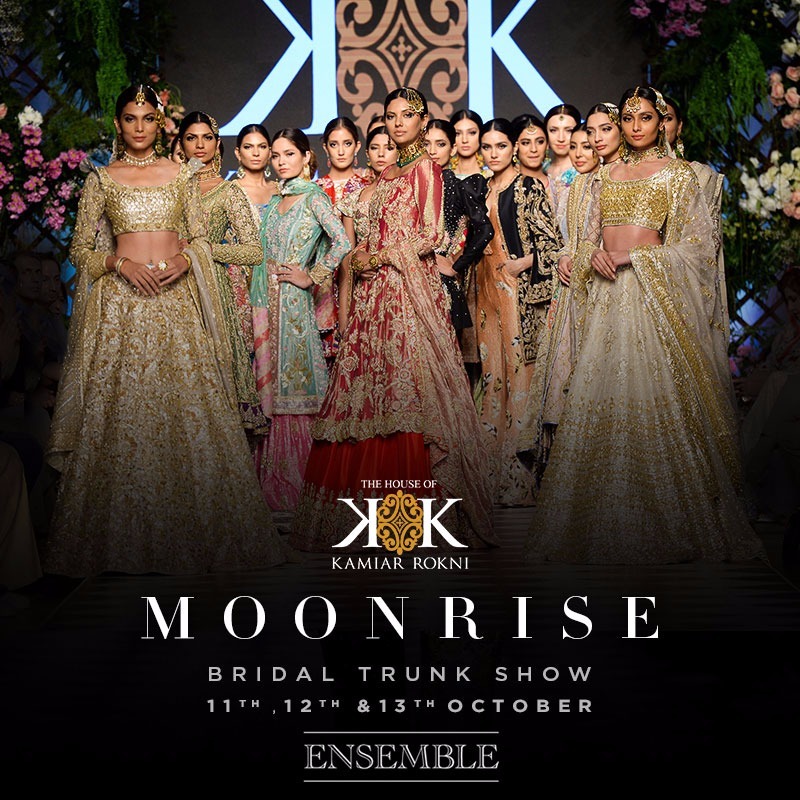 The House of Kamiar Rokni will be at Ensemble Karachi on Thursday the 11th of October, Friday the 12th and Saturday the 13th of October at C-32, E street, Block 4, Clifton Karachi.